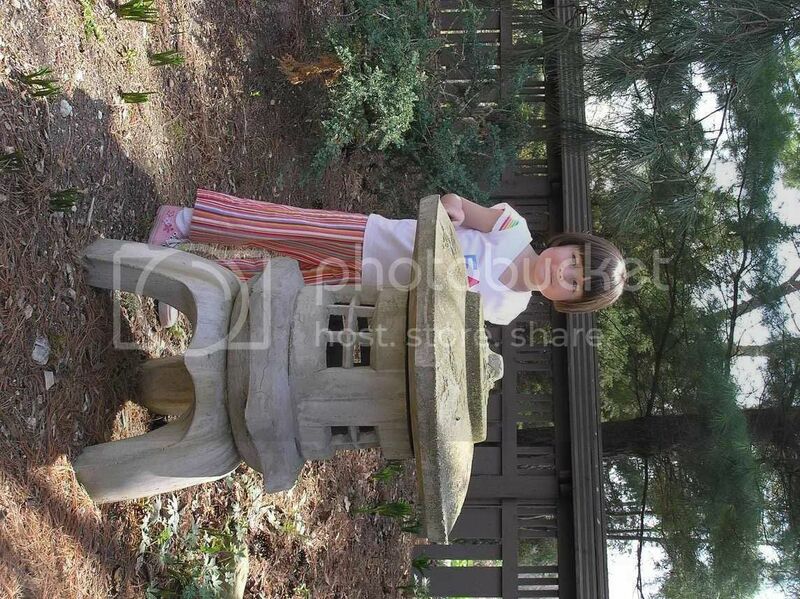 Lily in a Japanese style garden we visited while in Wisconsin. It was beautiful, many areas carefully covered with rock, and lots of little bridges. When I read the name of the garden to Lily, she remembered immediately that we have a friend in Japan. We are sooooo cultured, eh? Wow, what a great pic! You know, she actually looks Asian in that pic (it must be the bob). She looks like a lot of little girls I see around me here in Japan. She does look Asian. She's such a beauty. I love Japanese gardens.